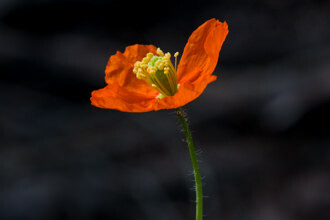 Tree Poppy or Bush poppy - Dendromecon rigida is a Native Perennial shrub, and a known fire follower. 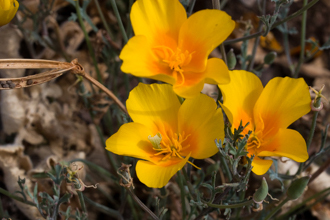 Bush poppy is a common shrub on dry slopes and stony washes to about 5000' in southern to central California, blooming from April to July. This plant can grow to ten feet in height and width but is commonly a smaller shrub with a relatively thick woody stem and lots of branches. As of 2017 Chesebro Canyon is a great location to view this plant. The attactive 2.5 inch flowers have four wedge-shaped (obvoate) bright yellow petals with numerous stamens and a pistil that has two stigmas. 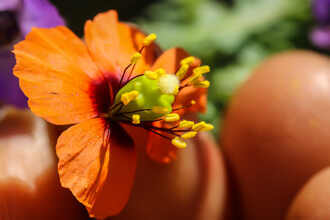 The flower goes through several transitions before the dispersal of seeds. The flower bud is nodding, becoming erect just prior to flowering. 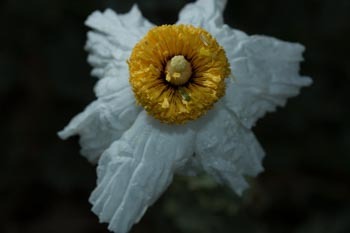 Flowers are cup-shaped at first becoming almost flat as the petals open fully. Flowers appear singly at the end of the leaf stems. There are/were two reddish sepals but they usually fall off after the flower has opened. After pollination, the petals fall off. Seeds are dispersed by wind. Branches can be hidden under a thick layer of narrow, finely toothed green leaves. 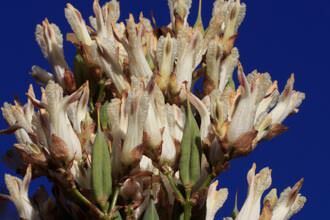 Native to California, this plant grows along the Pacific coast and the foothills of inland mountain ranges. 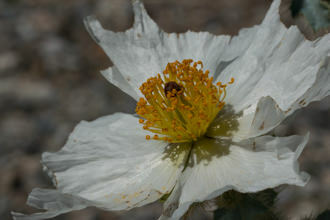 It is found more commonly in newly burned areas because its seeds need exposure to fire for germination and is rarely found in mature Chaparral. Last modified: June 19 2017 11:07:42.